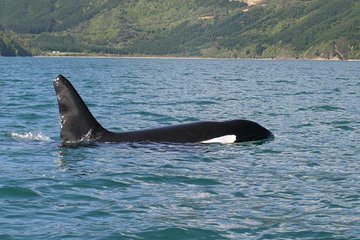 Search for rare seabirds and several species of marine mammals, such as Hector's, bottlenose and dusky dolphins along with New Zealand fur seals, during a 4-hour sightseeing cruise in the Marlborough Sounds. Cruise to Queen Charlotte Sound and take a nature walk on Motuara Island, where a predator-free landscape allows for plentiful birdlife. Listen to commentary from enthusiastic marine biologists, and treat yourself to tea, coffee, hot chocolate and cookies. Great half day cruise. Our guide and driver were both excellent, very knowledgeable and fun. Queen Charlotte's Sound unbelievably beautiful. Saw Bottlenose Dolphins swimming round the boat and a number of birds at the nature reserve. Great tour. Crew very knowledgeable. Saw a baby blue penguin and a hector dolphin.